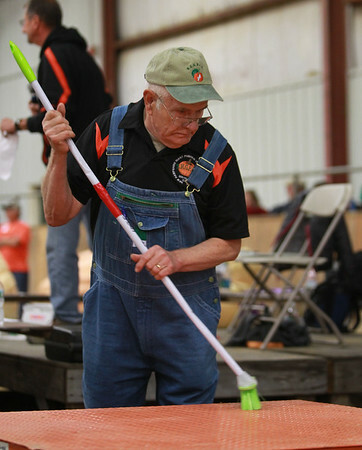 James Kuhn, a volunteer at the pumpkin weighing competition, cleans off the scale after a pumpkin is weighed on Friday evening. DAVID LE/Staff photo. 10/3/14.